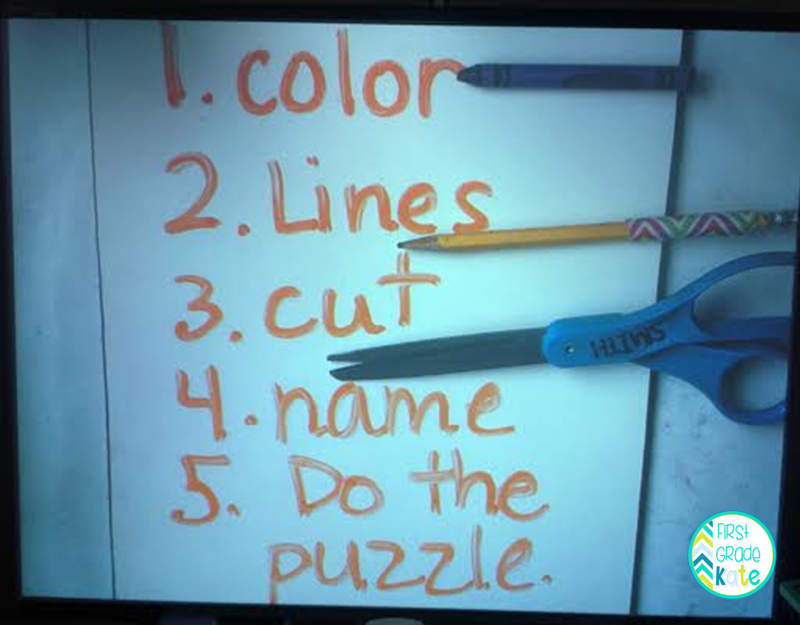 I put directions up on the Smartboard (along with visual clues) to help them remember the steps! 1. I had the kids color their chart all one color. I also told them to pick a different color than the other kids at their table. 2. 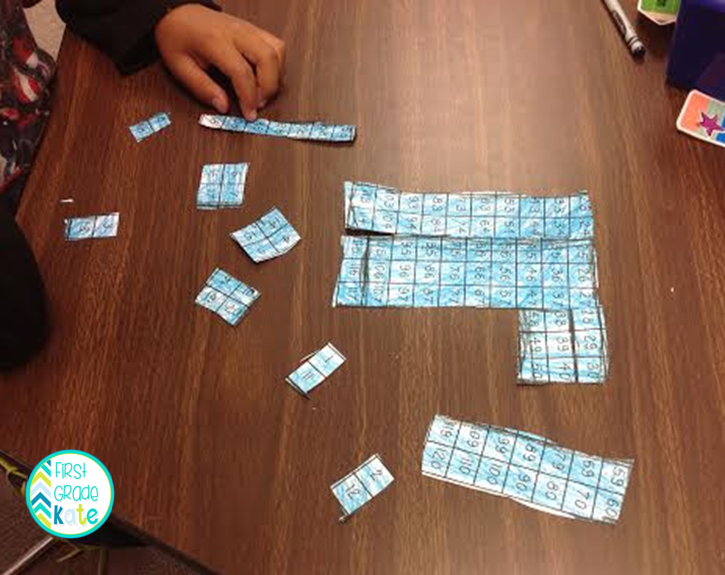 I modeled how to draw lines to make the puzzle pieces. We talked about how to draw medium sized pieces, not too big and not teeny tiny. 4. I am just so happy that I thought of this next part...I had the kids write their name on the back of every piece. No more searching through bags and bags of puzzles to see if a piece is missing! 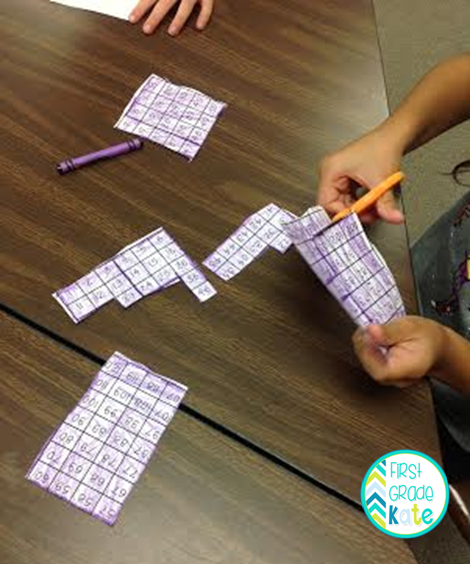 The kids LOVED putting together their puzzles! 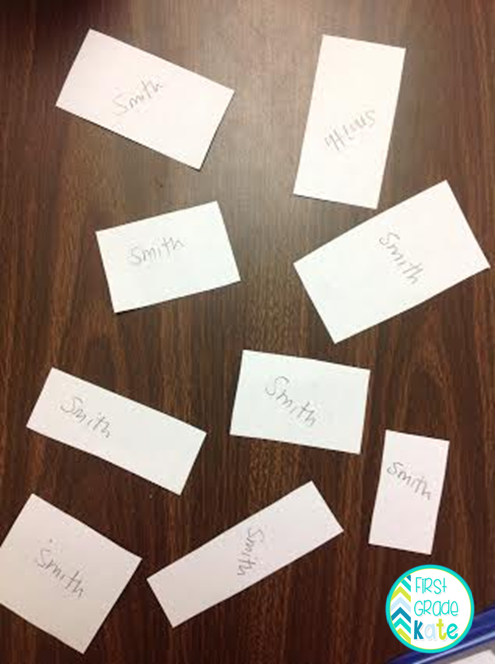 I also wrote each kid's name on a baggie so we could save the puzzles for another day. 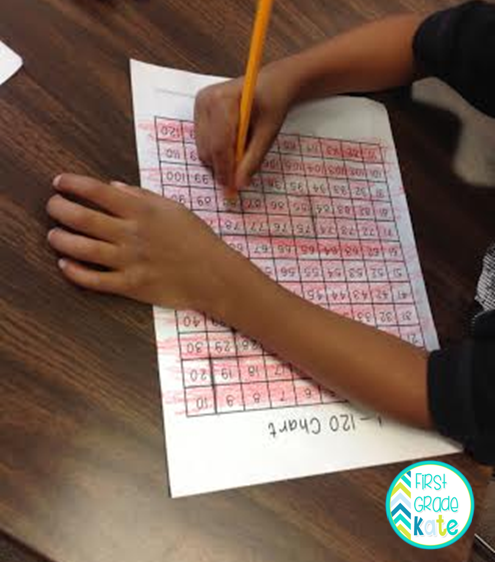 They are very motivating and a great way to help kids look for patterns on the number chart!